Syrian War Report – June 19, 2018: Many Govt Fighters Killed In Alleged US Strikes In Eastern Syria 4.5833333333333 out of 5 based on 12 ratings. 12 user reviews. On June 18, the US-led carried out airstrikes on a position of government forces at the village of of al-Hiri, located southeast of the border town of al-Bukamal, the Syrian state media said describing the attack as an attempt to raise morale of terrorist groups that are losing the war to the Syrian Arab Army (SAA). The SANA also accused the US of providing ISIS with various support in order to allow terrorists to remain in Syria thus justifying own illegal presence in the war-torn country. The US-led coalition denied these reports saying that it did not conduct strikes near al-Bukamal. However, the Syrian side was able to release footage from the ground confirming damage and showing impact sites of the strikes. According to different sources, from 30 to 90 pro-government fighters were killed and injured in the attack. This numbers includes members of Iraqi militais participating in the conflict on the side of the Damascus government. Some sources say that the strike was carried out by Israel. On the same day, Turkish and US-led coalition forces started carrying out a joint patrols near the town of Manbij, controlled by the Kurdish-dominated Syrian Democratic Forces (SDF). Photos and video of a large number of Turkish vehicles appeared from the area of the Sajur river. Turkish Foreign Minister Mevlut Cavusoglu even said that “[Turkish forces] have also started entering Manbij.” But this claim is not confirmed by any evidence right now. The SDF released a statement claiming that no Turkish troops will enter Manbij. However, the group has little influence on the situation. So, all will depend on terms and conditions of the US-Turkish agreement. You should be deported back in Arabia, between camels. Je vais casser la queue dans ton cul. Ich erkläre das Problem nicht. Nur ein kurzer Kommentar. Glaubst du, ich kenne Google Translator nicht? The SDF should have conceded land like Manbij and Afrin to the Syrian government. Now, they have no say in what countries are allowed to patrol cities they liberated. Puppet masters would never have allowed “SDF” to surrender occupied land to its legitimate owners, Syrian Government. Where can I send you a hanky for your tears over “the children.” You are so sad. And so noble. 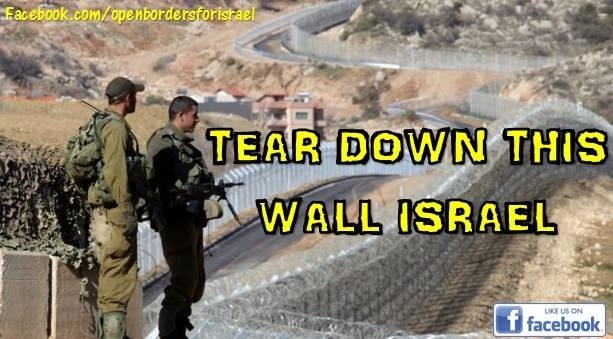 Israel doesnt have much diversity, it needs to tear down those walls, maybe the children could go there. The Beat Goes On ! As sake named song says: ‘Let the beat goes on’! The attacks are counter productive and stop nothing. It will set up a cycle of revenge, when the SAA and Co. have less on their plate and the price could be a lot higher than whomever did this wants to pay. Think I am kidding? Look at what happened with Brasil. The NSA hacked the email account of President Dilma. People might think that a leak alerted the Brazilians to this but, the truth is Brasilian security was on top of it, observing and they warned Dilma about what was going on before it happened. She chose to ignore them and was hacked. So, what happened next? Brasil drew the Americans out in negotiations over the F-18, letting them think they were on board and in a blink of an eye, chose a manufacturer from another country ( that hadn’t even build the first model of the design they chose, an incredibly brilliant political ambush for effect). This nullified intense efforts by Vice President Biden, wiped out F-18 production and let a contract possibility of $4 billion in initial value slip into nonexistence. That was a pretty pricey email hack huh? Something along those lines will be taking place, with regularity and far into the future if the US and friends don’t knock it off with regards to Syria and other countries. The SAA and Co. need not take a single life to hurt those guys, where it really hurts. But, I expect more activity in a vein which will invite revenge, to continue for a long time, in the House of the Blind and Unconscious. I wish well to all. wow. i wasn’t aware about the f-18 matter. good info. Oh, there are a lot of pieces to the puzzle. That is why I can’t get rev’ed up about individual incidents. I keep an eye on patterns and where the trajectory is leading. That pattern is at this point, that the Syrian government and friends are clearing the country of all the uninvited. It is just a mater of time. I wish well to you Whitehot.